The Chief Executive of The Royal Edinburgh Military Tattoo has added his voice to a growing events industry backlash against plans to dramatically cut funding to the capital’s marketing agency. Brigadier David Allfrey MBE, who also Chairs the Scottish Events & Festivals Industry Group (EFIG), has joined a campaign spearheaded by local business leaders to persuade Edinburgh City Council not to reduce its grant support to Marketing Edinburgh, which promotes the city globally as a destination for tourism and events. Brigadier Allfrey said: “I am convinced of the need for Scotland’s capital to have call on a focussed, creative and cost-effective agency to shape and support the range of communications and marketing activity that set out our worth. More than a hundred businesses have now joined a campaign to save Marketing Edinburgh, which supports the tourism, convention and film industries in the capital; under plans submitted by the council, the agency, which has a total budget of £0.890m could have its funding cut by £0.567M for 2019/2020, with a further cut of of £0.223M planned in 2020/2021 – representing a total cut of 89% in the next two financial years. It’s part of wider plans to find savings of £41m across all council services next year. However, official figures show the destination marketing organisation, which includes Convention Edinburgh – its biggest revenue generator – delivered £99 for the city’s economy for every pound it spent in 2017/2018, which includes £72M created by business tourism, £16M delivered by the film economy and £600K from industry partners, invested into city campaigns. 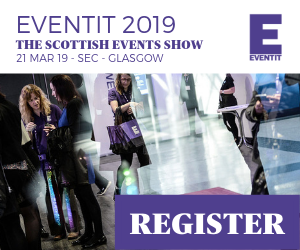 The Royal Edinburgh Military Tattoo, Edinburgh World Heritage, Essential Edinburgh and Underbelly, which produces Fringe shows and the annual Hogmanay street party, are among leading industry voices describing the agency as “invaluable”, “highly effective” and “vital”. The destination marketing organisation has also received international support from global tourism bodies, such as BestCities Global Alliance and European Cities Marketing, warning the reduction in budget “will have serious and extensive repercussions for the city.” In effect, it would leave Edinburgh as the only major developed city not to have its own destination marketing organisation, said the agency, which employs over 20 staff. Adam Wilkinson, Director of Edinburgh World Heritage, added: “We support the principle of a highly strategic Destination Marketing Organisation for the city that works to enhance the image of Edinburgh as a place to live and work, is fully in touch with the issues we face, and helps build positive dialogue between residents and the city’s leadership. Based on proven European models (such as Amsterdam), we also support the idea of a DMO for Edinburgh that helps develop, promote and implement sustainable tourism strategies that balance the needs of residents, visitors and local businesses. 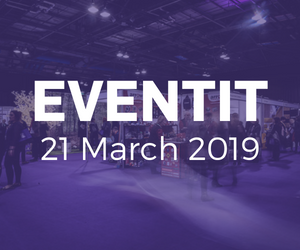 Marketing Edinburgh has responded with a counter proposal, which was sent to the Council Officers and Officials on 5th February 2019. The counter proposal asks for a reduced cut in funding for 2019/2020, giving the organisation a year to find an alternative funding model. John Donnelly, chief executive of Marketing Edinburgh, said: “We have been overwhelmed by the support we have received from partners, members and international allies. With that, we are more confident than ever that without the work of Marketing Edinburgh, a dangerous gap would exist, threatening the huge amount of business brought to the city which others rely on. The City of Edinburgh Council will vote on the proposed budget cuts at the Budget Council meeting on 21st February 2019. Residents and businesses can have their say by using the Consultation Hub up until 11th February 2019. To view our previous coverage visit here.